The city of Shizuoka is known not only as the capital of Shizuoka prefecture but as the plastic model capital of the world. It is the home of Tamiya and Bandai, top brands in the plastic model and radio-controlled model industry. Be sure to visit the Tamiya headquarters and check out the company’s history museum and showroom. Bandai offers tours of its factory, but reservations must be made in advance. 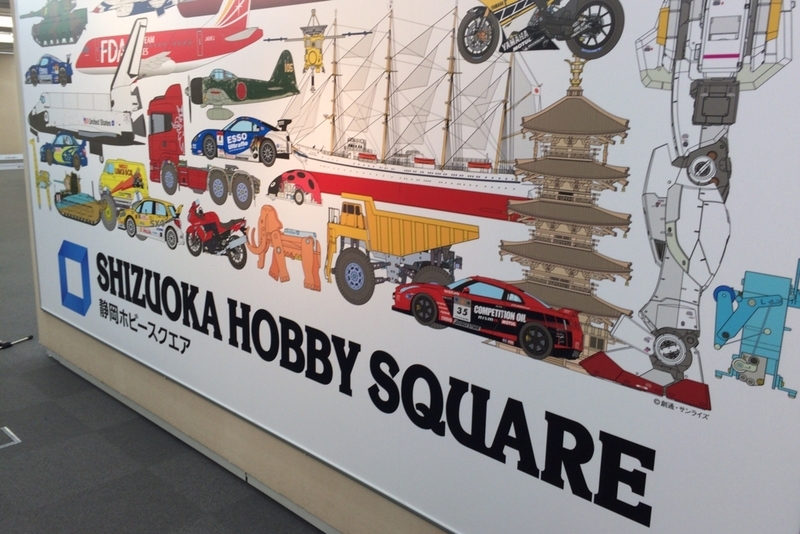 At Shizuoka Hobby Square, located in front of Shizuoka Station, you can enjoy a variety of plastic model exhibits, ranging from the original wooden models to the very latest products. There is even a race track for the Mini 4WD, a battery-powered plastic model car. 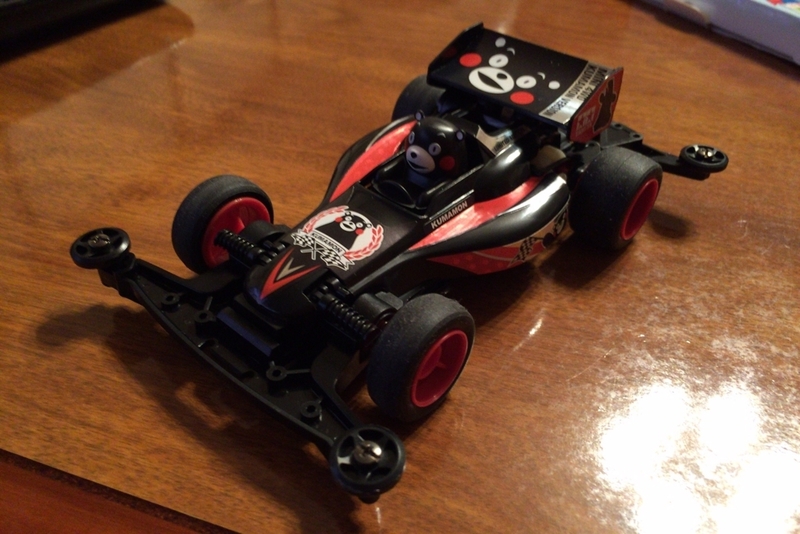 You can buy your own Mini 4WD at the shop and try racing it. 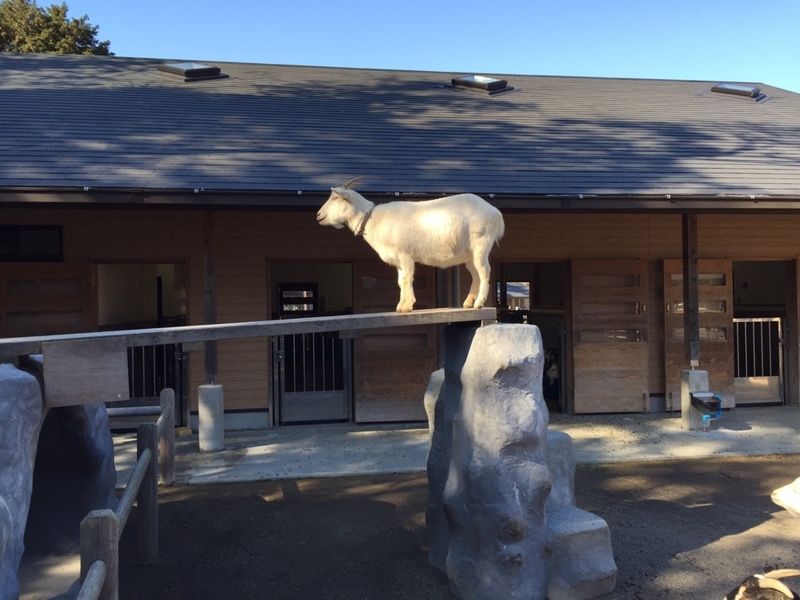 Nihondaira plateau offers a magnificent view overlooking the sea and neighboring mountains, including Mount Fuji. It has been designated as a National Scenic Site by the Japanese government. Shizoka-oden falls into the category known in Japan as B-kyu-gurume (B-class gourmet)– dishes that are tasty and hearty but unsophisticated. Gyusuji (beef tendons) and kurohanpen (black fish cake) are stewed in a dark black broth. You sprinkle laver and sardine or mackerel stock powder on the oden before eating it.There are dozens of oden restaurants in the Aoba Oden Machi and Aoba Yokocho areas in the city, attracting numerous drink lovers. 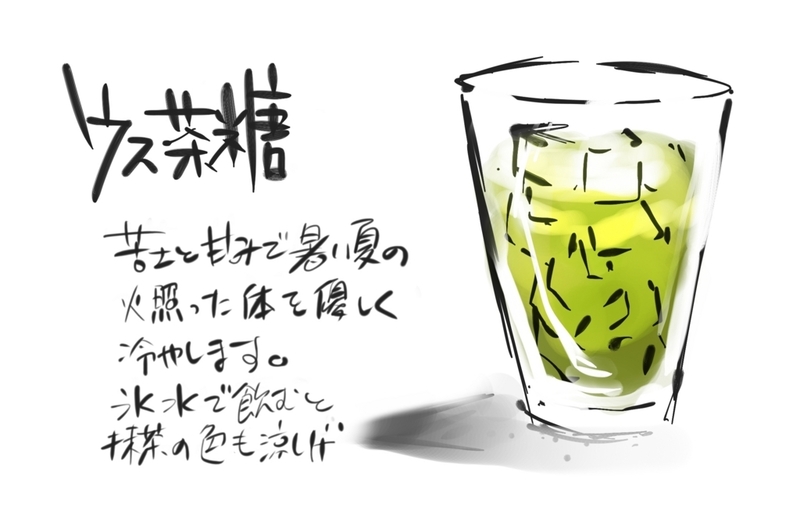 Shizuoka is famous for green tea. 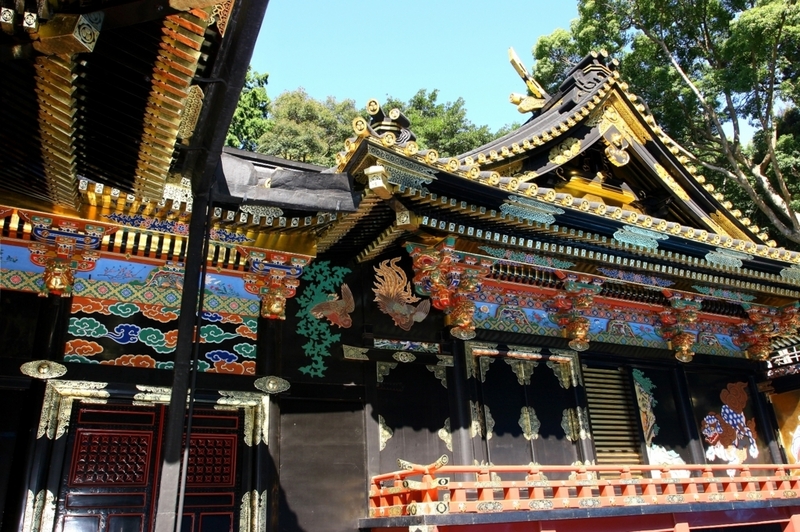 Locals enjoy it not only in liquid form, such as tea and matcha, but also as sweet desserts. Usuchatou is a sweet drink using matcha, granulated sugar and cinnamon. It dissolves easily in cold water and is a nice refreshment for hot summer days. 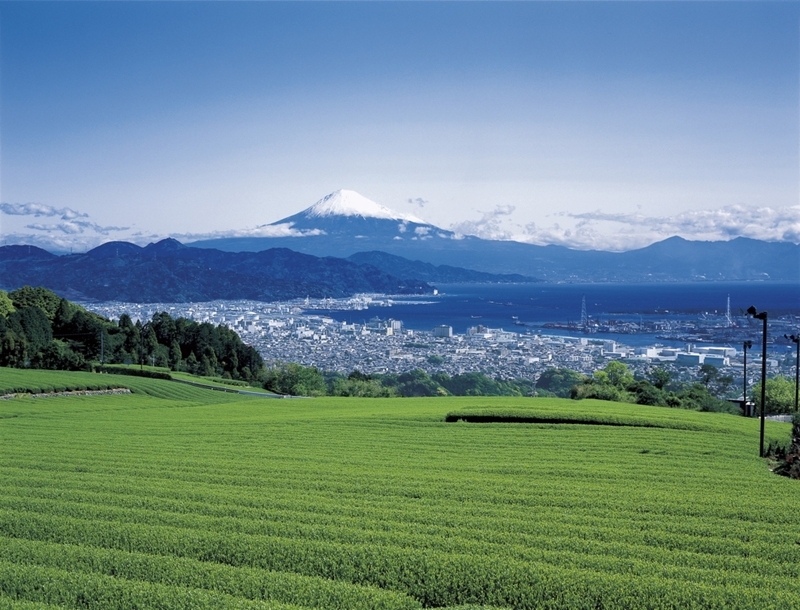 Shizuoka is well known for its tea production. There are dozens of tea cafés in the city. The tea plantation at Nihondaira has a beautiful view of Mount Fuji. Looking for some souvenirs for children? Then why don’t you buy a Mini 4WD at Shizuoka Hobby Square? It runs so fast that the children won’t believe their eyes! 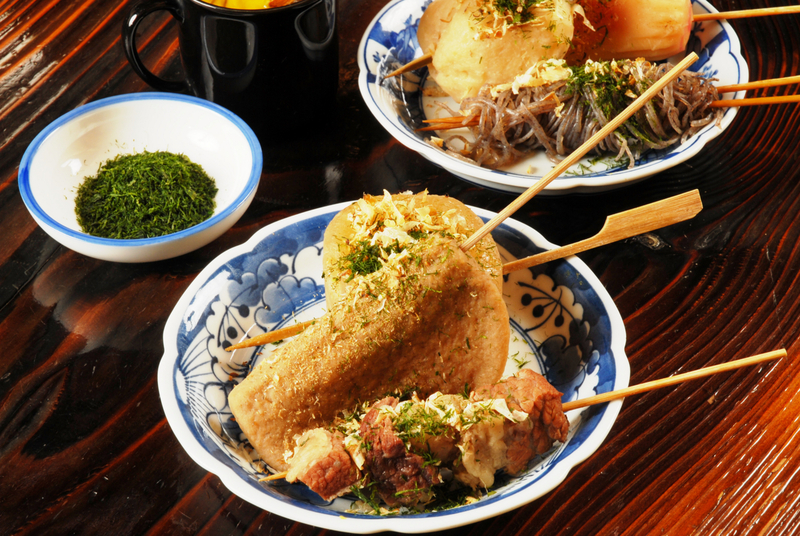 If we go barhopping, why don’t we head over to Aoba Oden Machi or Aoba Yokocho? Shizuoka’s famous B-grade gourmet food, shizo-oden , is the perfect nibble for sake!